and in a format they know and use often (i.e. YouTube, Vimeo, etc.). 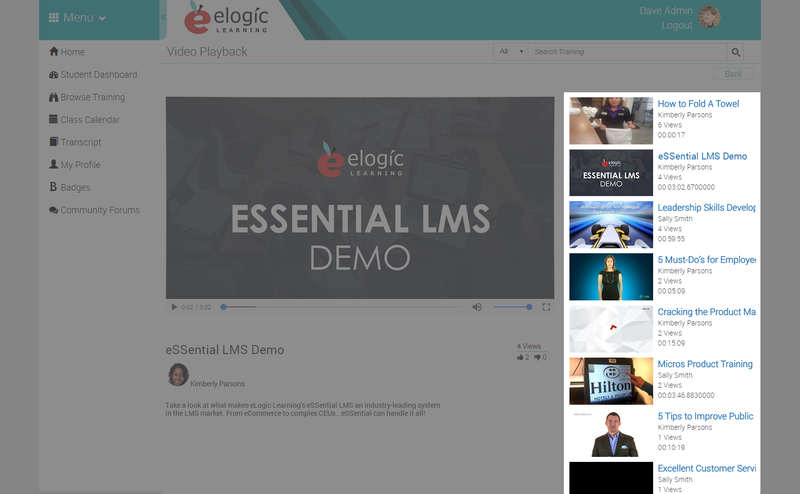 Videos can be uploaded into the LMS as standalone training content or nestled in a learning path. Both administrators and users (if given permission) can upload videos directly from their computers, phone, or links to videos found on the internet. 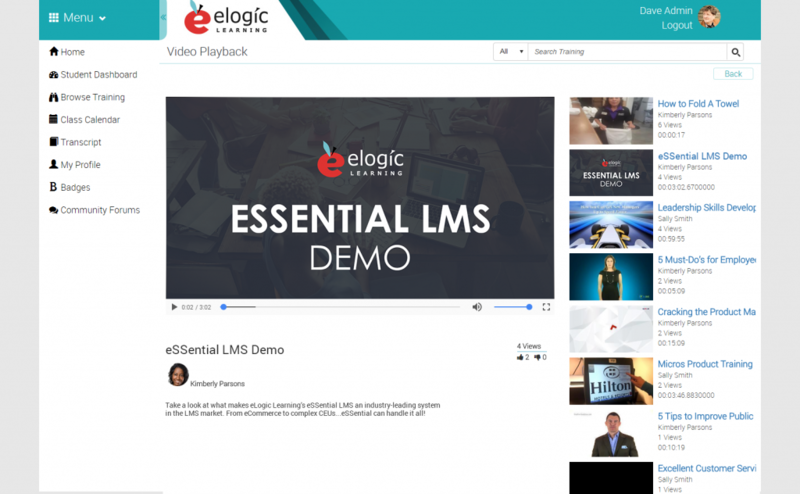 Assign video training to a specific user or groups of users based on a variety of attributes and with just a few clicks of the mouse. There are several video detail options available, including: custom video icon, custom video thumbnail, detailed and teaser descriptions, submitter name and profile picture, number of views, reviews, and more. Fast forwarding can be disabled for videos that must be watched in their entirety in order to earn credit. To the right of each video is an area dedicated to Additional Videos. Administrators can choose between having recently added videos show, other videos uploaded by the person who submitted the current video, videos in the same search category, or Additional Items of Interest videos. Most of these options can be turned on or off. Administrators can set videos to be automatically approved or sent for review upon submission. Approval options include: no approval, organization owner, single approver, and advanced manager approval. 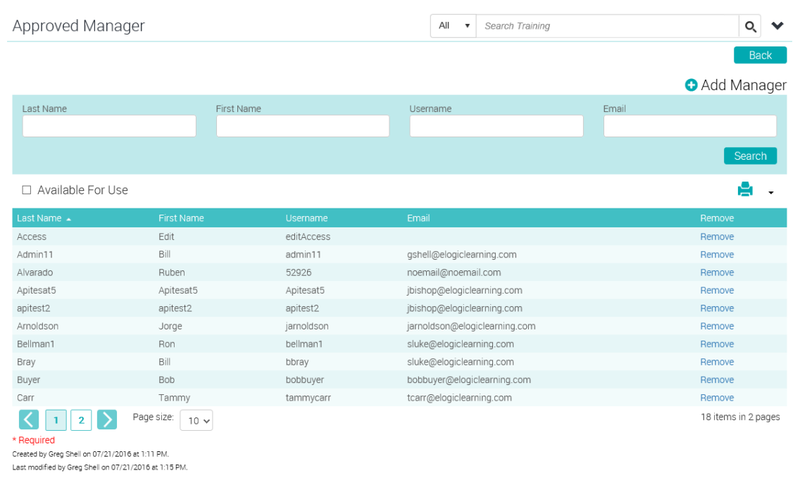 If there is more than one manager or multiple approvers are needed, this can be set via the Approved Managers section based on a number of access level options.